P.J. 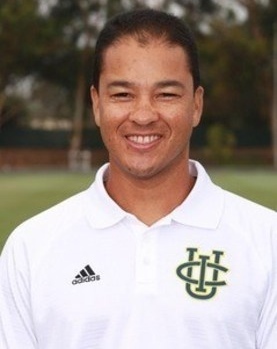 Woolridge has been on the UC Irvine Women’s Soccer coaching staff since 2014 and is currently serving as the Associate Head Coach. Woolridge spent the previous three seasons at USC. Prior to that, he assisted for three seasons at the University of San Diego after serving as an assistant at Cal Poly in San Luis Obispo for eight seasons. Cal Poly won four straight Big West championships during that time, and reached the NCAA Tournament five times. During Woolridge’s three seasons at San Diego, the Toreros made runs to the NCAA Tournament all three seasons that Woolridge was there. As a player, Woolridge was a four-year starter at Cal Poly, where he helped lead the Mustangs to the 1995 Division I playoffs and also was a two-time first-team all-conference honoree. He still holds Cal Poly program records with career matches played (72) and started (72) as well as game-winning goals in a season. Together with his wife, Alli, they have a 5-year-old daughter named Rylan, a 3-year-old son named Keenan, and welcomed their second son, Camden, last July. We welcome Coach Wendy Espejel to the coaching staff this year as our Goalkeeper coach! Wendy brings a great deal of expertise to the LA Galaxy OC Women’s Team. She is currently on staff for the Cal South Olympic Development Program as a scout and head goalkeeper coach. She has traveled to four ODP National Championships and two Regional Tournament as an assistant coach. 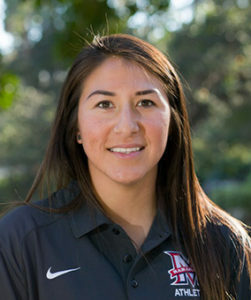 She also recently completed her second year as an assistant coach and recruiting coordinator at Soka University. Wendy is a former a goalkeeper for the U-20 Mexican National Team as well as the Mexican University Olympic Team where she competed in various international tournaments.